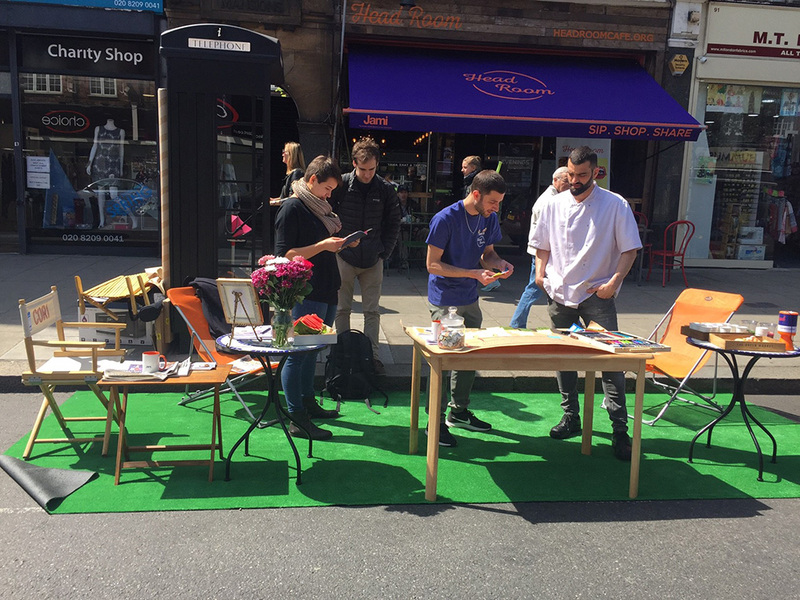 Last week, in support of Mental Health Awareness Week, Jami quite literally brought the conversation of mental health back to the streets by using some clever Guerrilla marketing to convert a parking bay outside their Head Room Café into a pop up wellbeing garden. The wellbeing garden was a place of calm where passers-by could stop to read the newspaper in the glorious sunshine, have a smoothie and something to eat from the Head Room Café and join in the conversation. 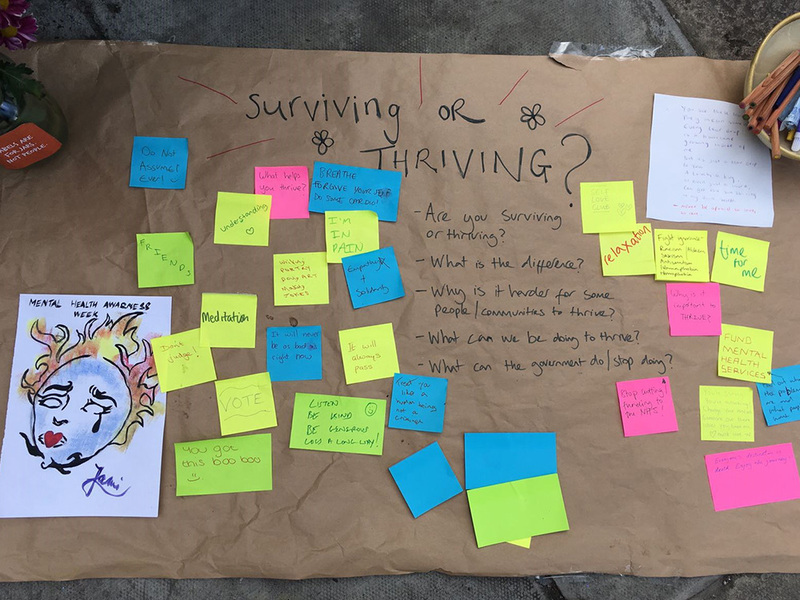 To support the theme of Mental Health Awareness Week, Jami was asking the question are we surviving or thriving as individuals in our community and why? 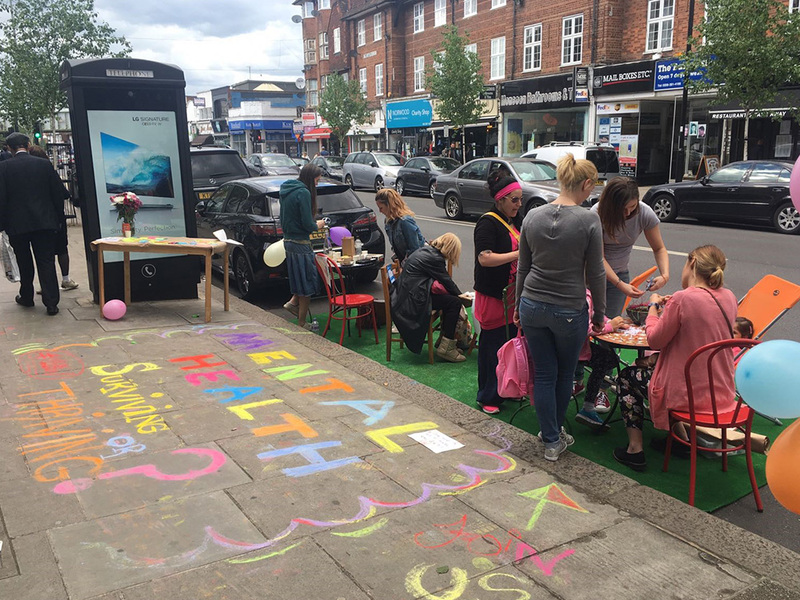 By chatting to the Head Room Café’s ‘Heads Up’ workers and through creative drawing and writing, the general public shared their thoughts and feelings on the topic and about the wider discussion of mental health. Daily sessions were run by Jami’s Peer Support Workers at Head Room Café and encouraged people to explore their own mental health and the factors that affect it. The sessions varied from discussions to creative sessions and walks.